When Kat first came to us in August 2006, she was ready to improve her smile, and she had some major complicating factors. She knew about the significant gum recession, was unhappy about the dark metal lines around her dental bridge, and wanted to brighten/straighten her whole smile. 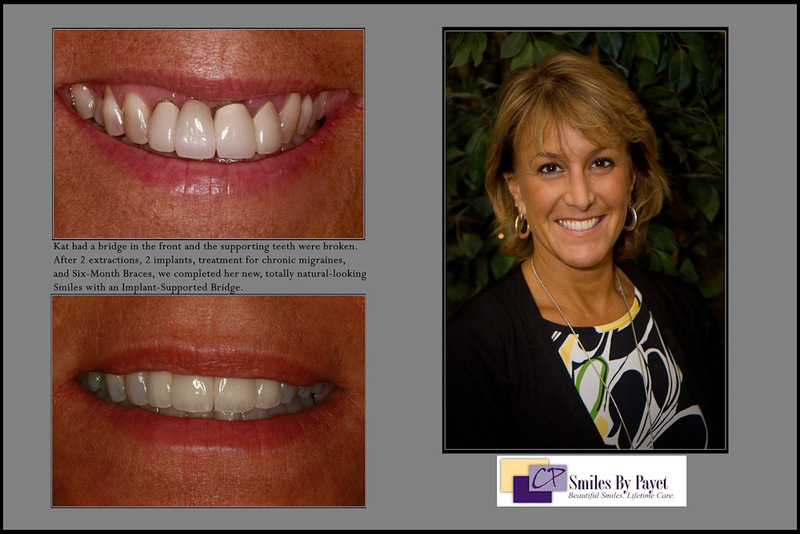 Finally a porcelain-to-metal bridge on the implants for a beautiful smile. The entire process took just under 2 years, but even Kat will tell you – it was worth it! She recently got married and says she felt so good smiling for her wedding photos with total confidence.